user warning: Expression #1 of ORDER BY clause is not in SELECT list, references column 'hotkilns_live.n.created' which is not in SELECT list; this is incompatible with DISTINCT query: SELECT DISTINCT n.nid, n.vid, n.title FROM content_field_knowledgebase_actions nr INNER JOIN node n ON n.vid = nr.vid AND n.status = 1 INNER JOIN node_access na ON na.nid = n.nid WHERE (na.grant_view >= 1 AND ((na.gid = 0 AND na.realm = 'all') OR (na.gid = 0 AND na.realm = 'content_access_author') OR (na.gid = 1 AND na.realm = 'content_access_rid'))) AND ( nr.field_knowledgebase_actions_nid = 6644 )ORDER BY n.created DESC in /home/hotkilns/public_html/sites/all/modules/nodereferrer/nodereferrer.module on line 428. 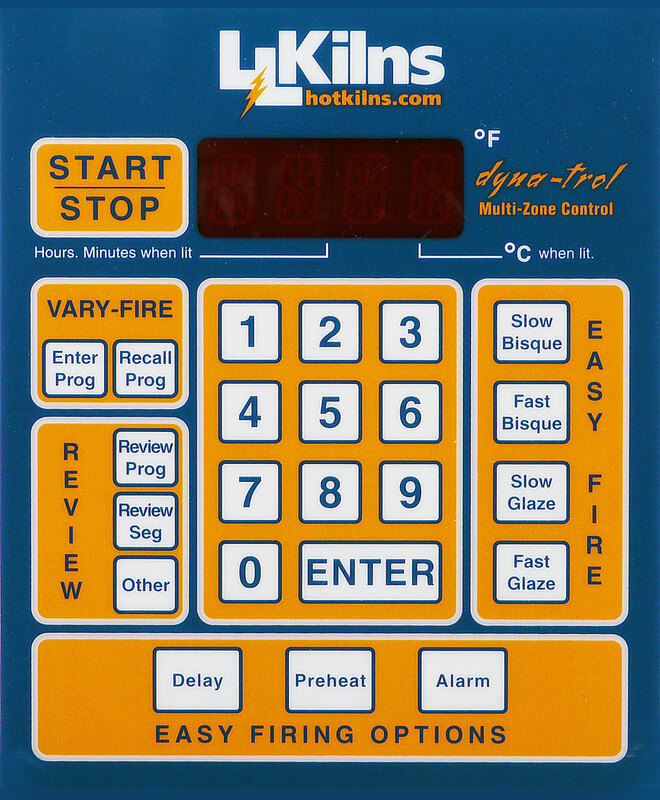 This menu contains the programmable settings for the rest of the features in the Dynatrol. To find this menu, first IdLE, tC2, and the current temperature must be cycling in the display. To exit the menu press ENTER twice when you see PCt. You will then see CPL, and then IdLE, tC2, and the current temperature cycling in the display again. The cycle time is the length of time between an element turning on two consecutive times. Using a short cycle time may improve temperature control, while using a long cycle time may improve relay life. Cycle time can be programmed anywhere from 10 to 60 seconds.